The Junior League of Madison is led by a volunteer board, elected annually by our membership. Kirsten Reader serves as the President of the Junior League of Madison. Kirsten is in her sixth active year with the Junior League of Madison, having served as Community VP and All Dressed Up Chair in previous League years. Her favorite part of League is All Dressed Up and helping underprivileged high school girls choose the prom dress of their dreams. Kirsten graduated from the University of Wisconsin – Madison with a Bachelor of Arts in English and Political Science. During the day, Kirsten works for the State of Wisconsin as a Division Administrator. Outside of work and Junior League, Kirsten enjoys spending time with her husband, children, and dog, reading and cooking. They reside in Sun Prairie, Wisconsin. 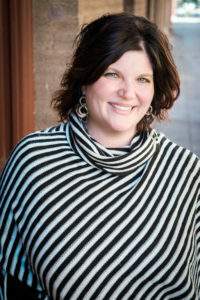 Kristy Reed serves as the President Elect of the Junior League of Madison. Kristy has been an active member of JLM since 2010, and spent her first two years on the committee of our signature event, All Dressed Up. Kristy then chaired our annual fundraiser, Bowling Ball, and the Funding and Development committee. Kristy graduated from UW-LaCrosse with a degree in Finance. 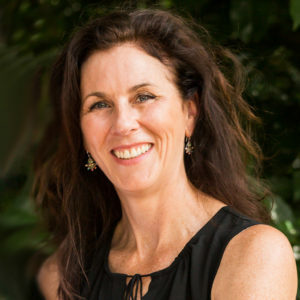 Co-owner and CEO of a private wealth advisory firm, Sky’s Edge Wealth, Kristy has been a financial advisor for over 18 years and enjoys mentoring new advisors and the challenges the ever-changing financial industry provides. In addition to Junior League, Kristy leads an annual Habitat for Humanity build and Food Drive for Second Harvest Food Bank. She is also active as a volunteer coach for her children’s sports. Kristy and her husband, Brent, reside in Monona with their two children, Lauren and Avery. In her spare time, she enjoys watching Badger athletics, working out and flower gardening. Jocelyn Braun serves as the President Elect-Elect of the Junior League of Madison. Jocelyn has been an active member of JLM since 2008, and has served on the membership, communications, and community teams in leadership and non-leadership roles. Jocelyn’s passion for League lies in supporting its new and incoming members so that League can make the very best impact possible in the community. Professionally, Jocelyn lends her 13 years of communications and strategic planning experience to Braun Painting, a company she and her husband Mike started in 2009. In addition to running a family business, Jocelyn and Mike have three boys, Fischer, Finnley, and Crosby. In her spare time she enjoys the outdoors, reading, and spending time with her family. Kate Hattery-Groskopf serves as the Nominating Chair of the Junior League of Madison. Kate joined Junior League in 2013 and has served as a Placement Advisor, Funding and Development Committee Chair, Assistant Placement Committee Chair, and most recently Placement Committee Chair. She is thrilled to serve as the Nominating Committee Chair this year. Kate works for the State of Wisconsin in Human Resources and loves her job for the exciting challenges it brings. She graduated with a Bachelor’s Degree in History from the University of Wisconsin, where she met her husband, Brian. In her free time, Kate loves traveling the world with Brian, spending time with their two dogs Penny and Odie, reading, and enjoying quality time with friends. Rachel Breger serves as the Communications VP for the Junior League of Madison. Rachel first joined the Junior League of Milwaukee in 2014 before relocating to Madison and joining JLM in 2015. She has served as membership secretary and in a variety of roles on the Communications team. 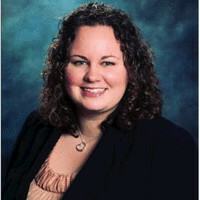 Rachel graduated from Fairfield University with a degree in English and Spanish and from Creighton University with a juris doctorate and a master’s in International Relations. Rachel works on the legal team at Navitus Health Solutions and coaches for a local swim team. In her spare time, Rachel enjoys spending time at the Union Terrace, watching football, and spending time with her friends and family. 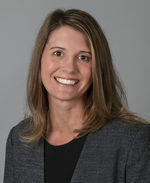 Jen Brydges serves as the Community Vice President for the Junior League of Madison. She joined JLM in 2014 and has served in a variety of roles on the Membership team. Jen also chaired of JLM’s Developing Youth Leadership Scholarship Initiative. 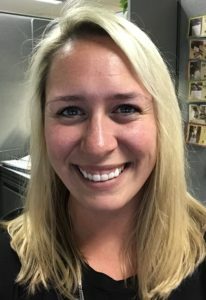 Jen graduated from UW Green Bay with a degree in Political Science and Public Administration and from California State University-Los Angeles with a master’s in Political Science. 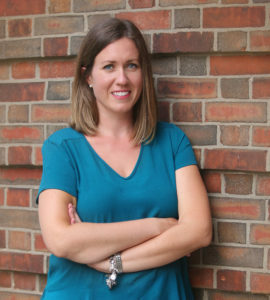 Jen works for AMPED Association Management and has five years of strategic planning, program management, and governance experience in both associations and the for-profit sector. She loves spending time with her husband Joe and spunky daughter Kennedy, has a passion for personal and professional growth, enjoys traveling, wine, writing, and finding ways to be creative in work and play. 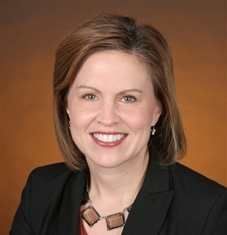 Linda Passaglia serves as the Finance Vice President for the Junior League of Madison. Linda first joined the Junior League of Kane and DuPage Counties in 2013 where she was an active member for 2 years before relocating for her career to Madison. In 2015, Linda transferred her membership to the Junior League of Madison and has served on the Mistletoe Market committee. Linda graduated from Eastern Illinois University with a degree in accounting. Linda has over 18 years of experience with RSM US where she is an audit partner. Linda and her husband, Mark, reside in Madison with their two sons, Joey and Jonny. Linda enjoys spending her spare time doing yoga, playing golf and watching her boys play sports. 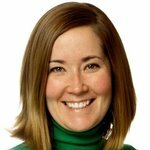 Erin Decker serves as the Membership VP for the Junior League of Madison. She joined JLM in 2013 and has served in a variety of roles on the Membership and Community Teams, including chairing the Nominating and Placement Committees. Erin works for an erosion control and landscape supply company just outside of Madison. She graduated from the University of Wisconsin with a Bachelor of Arts in Spanish after spending a year abroad in Madrid, Spain. Erin currently lives in Madison with her husband where they enjoy trying new restaurants, seeing shows at the Overture Center, and cheering on the Badgers. Peggy Angevine serves as the Sustainer Vice President. Peggy joined JLM in 2001 and served in a variety of positions on and off the board during her 11 years as an Active member, including Communications VP, Treasurer, and serving as President in 2007-2008. As a Sustainer, she has served as the “communications liaison” for the past ~10 years. Peggy has a master’s degree in international business and worked in software development for many years before moving to Madison. She currently has her own business, Stewart Angevine Projects, which caters to small business IT, web development and marketing. Peggy is married to husband Chuck, and they have 2 children, Maddie – 22 and Charlie – 19. She has served on a variety of boards in the past, and currently serves on the Nakoma Women’s Organization board and is involved with the Doyenne Group, a non-profit organization for women entrepreneurs. During her free time, Peggy loves to travel, play golf and volleyball, ski, bike, run and generally stay active. She just learned pickleball and is thinking that might be her newest passion.